Picture this: A person, young or old, is practicing the faith yet naturally wants to grow in his or her relationship with Jesus and become closer to God. Can the faithful – or should they – turn somewhere for guidance? They can. After all, didn’t Jesus send the disciples out two by two? Saints like Catherine of Siena have said something in our nature necessitates external support for our development. She taught that God designed us on purpose to be dependent on others for our spiritual growth. Spiritual directors or spiritual mentors can help us along this path. Even young people in college are proving they grow quickly in faith and more easily discern where God is calling them through excellent spiritual direction. Ron Novotny defines spiritual direction as basically “guiding a person into a life that is truly under God’s dominion, under the prompting of the Holy Spirit, and helping them to listen to the Lord’s word, discern God’s will, make good choices in their spiritual life and pursue virtue.” He and his wife, Adrienne, are directors at the Cenacle of Our Lady of Divine Providence School of Spirituality, which is the spiritual direction program of the Marian Servants of Divine Providence, a private association of the Christian faithful in Clearwater, Florida. “The real spiritual director is the Holy Spirit. That’s No. 1,” says Sister Susan Pieper, mother superior of the female branch of the Apostles of the Interior Life in Kansas City, Kansas. This religious community’s specific charism is spiritual direction. “St. Gregory the Great said, ‘The art of all arts is spiritual direction,’” says Sister Susan. She says that while artists use stone or canvas to create an image of spiritual beauty, spiritual directors work with human beings’ lives and souls to support those persons to become the saints they are called to be. During a recent appearance on Register Radio, the National Catholic Register’s weekly radio show on EWTN Radio, Archbishop Joseph Naumann of Kansas City, Kan., reflected on the Pope’s thoughts. “I think he is encouraging all Catholics to do what is prudent … and that would be to have a spiritual director, spiritual mentor or guide in the spiritual life,” noted Archbishop Naumann. But, often, the problem is finding a qualified spiritual director. To help people more readily find a spiritual guide or mentor to help them grow more rapidly in their spiritual life than they could on their own (his description of spiritual direction), Archbishop Naumann invited the Apostles of the Interior Life to join with the archdiocese’s own School of Faith to give spiritual direction and start forming spiritual mentors. This happened in stages that illustrate the need and benefit of spiritual direction. Mike Scherschligt, the founder and executive director of the School of Faith, which is an archdiocesan public association of the faithful, explains how hundreds of students at the University of Kansas attended non-credit classes at the university’s Catholic center every semester because they wanted to learn their faith. The students encountered God speaking to them, but they questioned: What were they supposed to do? “They needed spiritual direction,” Scherschligt says. The staff started giving one-on-one spiritual direction, but there was only a limited time for limited numbers. At the archbishop’s invitation, Sister Susan sent three full-time sisters to assist with spiritual direction. But with only six sisters available for spiritual direction, the Apostles of the Interior Life were asked to train more well-formed laity to meet the demand. Nearly 70 participants from 11 dioceses quickly made up the first group of trainees for the initial program. 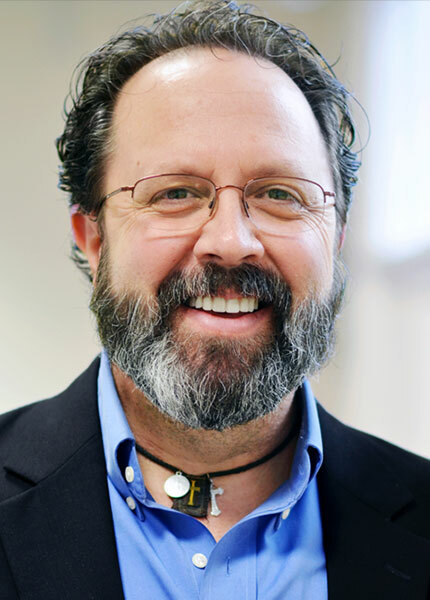 Attendee Mike Mies of Overland Park, Kan., calls the program “all-encompassing.” It helped him deepen his prayer life, grow in holiness and knowledge of the faith, and get tools to grow in virtue. Already, the Apostles of the Interior Life Spiritual Mentorship Program is among what are considered the best three spiritual direction schools in the country. All of the apostles (there are also priests and brothers in this order, which was founded in Italy), as well as Scherschligt have advanced degrees from pontifical universities in Rome. Sister Susan explains why the program is unique. It isn’t a course that teaches people to become spiritual directors. “We’re simply forming people to be spiritual mentors,” she says. That’s exactly what she sees happening at both the University of Kansas and Texas A&M, where her sisters also give spiritual direction. 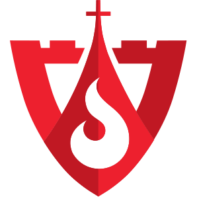 She herself offers monthly spiritual direction for faculty, staff and spouses at Benedictine College in Atchison, Kansas (included in our College Guide). Spiritual direction strengthens practicing Catholic students’ faith. It can also help students have conversions. Sister Susan has seen vocations come about as spiritual direction placed the seed for discernment. Naturally, spiritual direction helps adults of all ages. Some seek it from the other two top schools in the country, where people can also study in formal programs to become spiritual directors themselves. They are the aforementioned Cenacle of Our Lady of Divine Providence School of Spirituality, which is run in association with the Franciscan University of Steubenville, Ohio, and the Lanteri Center for Ignatian Spirituality in Denver, established by the Oblates of the Virgin Mary. All three schools are concerned with helping people answer the Second Vatican Council’s universal call to holiness. The Lanteri Center’s executive director, Father Ernest Sherstone of the Oblates of the Virgin Mary, makes an important clarification. Instead, he identifies spiritual directors as sympathetic listeners who will help people recognize and respond to God’s presence in their lives. The idea is for those who study there or elsewhere to become spiritual directors in order to help their own Christian communities. “We like them to go back into their parish and say to their pastor they received this formation and (ask): Can they be of service to the parish?” says Father Sherstone. More than 300 people who have graduated from Our Lady of Divine Providence School of Spirituality are now in more than 40 states giving spiritual direction. In 2008, Joan Lawlor of Palm Beach Gardens, Fla., graduated as a qualified spiritual director. Still, it isn’t easy to find a fine spiritual director. Be very careful of any spiritual direction using centering prayer, Eastern mysticism, non-Christian mixes or other teachings not faithful to the magisterium or Catholic teaching. Novtny suggests checking if anyone on your parish staff does spiritual direction. Often, the diocese has a list. Naturally, his school recommends their own graduates who live near the seeker. Sister Susan suggests not going far from home. First, go to confession several times to a priest, and if that seems to be a good fit based on confessional counsel, ask if he’s available for spiritual direction. If not, ask if he can suggest someone he knows, whether a fellow priest, deacon, solid religious or strong faith-filled layperson. Then have interviews to make sure the person is a good fit. Archbishop Naumann suggests asking your pastor, if available, or a monk or sister in a nearby monastery. He also recommends as a resource RCSpiritualDirection.com, founded by Dan Burke, the Register’s executive director. Burke’s book Navigating the Interior Life: Spiritual Direction and the Journey to God (www.NavigatingtheInteriorLife.com) is published by Emmaus Press. It gives the hows and whys of growing in the spiritual life and provides a framework for effective participation in spiritual direction. By Joseph Pronechen – staff writer of the National Catholic Register – Published with permission. Art: Isenheim Altar, former main altar of the Antonite abbey of Isenheim/Alsace, Holiday side, left wing: Saint Anthony the Great visits Saint Paul the Anchorite, 1512-1516, Mathis Gothart Grünewald, PD-US, Wikimedia Commons.